What a touching moment for us here at #PurpleOurWorld to see Robbie Farah and Benji Marshall lead their teams onto the field proudly wearing their #PurpleOurWorld socks. It’s been an emotional couple of weeks for us, as we’ve witnessed our dream come to fruition, and nothing made us prouder than seeing the teams wearing the socks in front of more than 17,000 people at the ground and many more watching at home. Last Thursday, as we stood side-by-side with the boys and spoke to the media about why we’re doing what we’re doing, we know our loved ones were standing right there next to us, along with everyone else who has lost their fight to pancreatic cancer. To hear Robbie talk about his mother and Benji open up about his father almost brought us all to tears. Together, we were finally putting pancreatic cancer on the map. In the 24 hours following, we sat glued to our television and computer screens as the story made national headlines. On game day, we stood outside ANZ Stadium and watched as people passed us by in their splashes of purple and as our Twitter feed exploded with support. We listened as the ground announcers spoke of our cause with our logo up on the big screen. And then we watched two friends, who’ve been through so much together, including the loss of a parent, battle it out on the field. And boy was it a match to remember. To Robbie, Benji and both your families, your stories have already inspired others to come forward. Thank you for being so open and honest. We hope we can continue to work together to bring awareness to a disease that has touched us all so deeply. 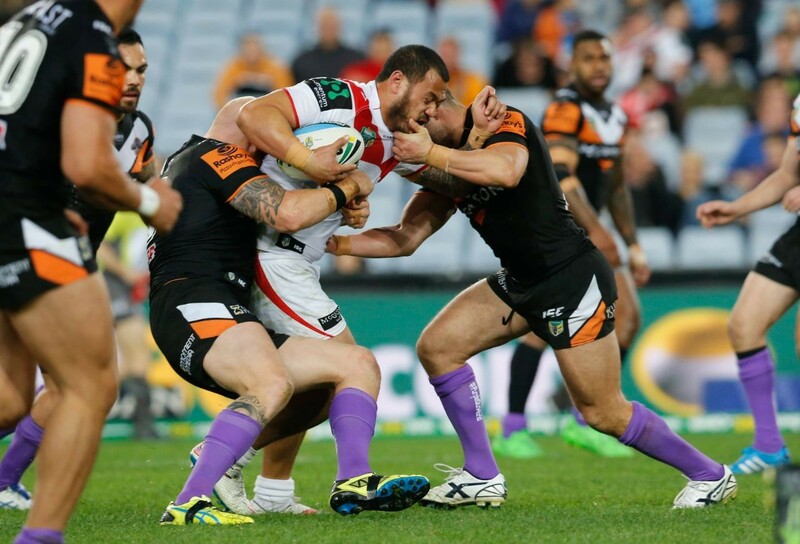 To the Wests Tigers and St George Illawarra Dragons, thank you for agreeing to support Robbie, Benji and us. Thank you for sharing our message with your supporters. Thank you to the Fox Sports NRL boys for wearing purple ties in support of the cause and for making sure everyone at home knew why the boys were wearing #PurpleOurWorld socks. To the team at ANZ Stadium, thank you for having us, and all the support you provided in the lead-up to the game and on game day. To our family and friends, your unwavering support has been incredible. We thank you from the bottom of our hearts for your continual encouragement, help and love. And finally, to our supporters – thank you for coming on the journey with us. We can’t wait to share what’s ahead.